Cardiff East GP cluster identified a need for increased support for patients with mental health difficulties in primary care and introduced a Primary Care Mental Health Nurse to provide tailored care and support to these patients. GPs within this cluster, which covers Llanrumney, Rumney, St Mellons and Trowbridge, identified that it would be helpful to have dedicated team members based at the GP Practices with specialist knowledge in mental health to help patients with signposting or referral pathways. The Primary Care Mental Health Nurse can provide patients with assessment, medication reviews, advice and information as well as signposting to appropriate services. This means the patient is seen by the most appropriate healthcare professional at their GP practice. This new role also enabled GPs to have support with the management of regular attendees at the practice for mental health problems and facilitated mental health promotion and monitoring of mental health and referral pathways. Patients who were initially seen by the GP were able to book appointments for their mental health needs directly with the mental health team, which ensured they received appropriate support with a mental health professional and in turn freed up the GPs time for them to see patients with other appointment needs. Emergency slots were made available each day with the mental health team so the triage GP could manage mental health presentations that day. Patients were also able to book appointments with the mental health nurse via reception. The pilot project has led to a significant reduction in patient referrals to the local Community Mental Health Team and Primary Mental Health Support Service from the Cardiff East GP Cluster as signposting and triage is now provided at the initial enquiry. 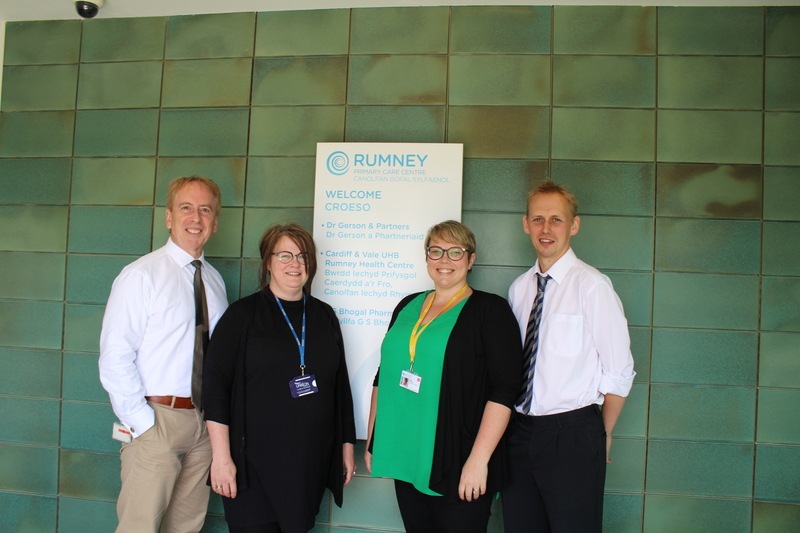 Emily Boobyer, GP Mental Health Practitioner for the Community Mental Health Team said “Both patient feedback and GP feedback has been positive during this pilot and GPs feel there has been a reduction in the number of appointments they see for mental health needs. “With one in four people affected by mental health illness, it is important to have support available at their first point of contact within primary care so patients receive the help they need before reaching a crisis point.